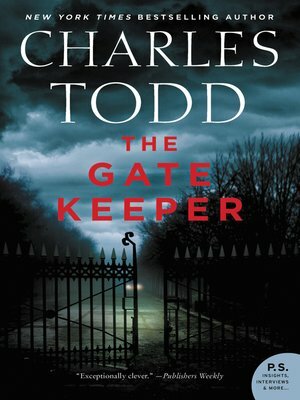 On a deserted road, late at night, Scotland Yard's Ian Rutledge encounters a frightened woman standing over a body, launching an inquiry that leads him into the lair of a stealthy killer and the dangerous recesses of his own memories in this twentieth installment of the acclaimed New York Times bestselling series. Although he is a witness after the fact, Rutledge persuades the Yard to give him the inquiry, since he's on the scene. But is he seeking justice—or fleeing painful memories in London? Wentworth was well-liked, yet his bitter family paint a malevolent portrait, calling him a murderer. But who did Wentworth kill? Is his death retribution? Or has his companion lied? Wolf Pit, his village, has a notorious history: in Medieval times, the last wolf in England was killed there. When a second suspicious death occurs, the evidence suggests that a dangerous predator is on the loose, and that death is closer than Rutledge knows.